Looking for a unique way to celebrate a birthday, anniversary, family reunion or company milestone in August? (Or the fact the kids will be going back to school soon?) The Erie County Agricultural Society is accepting reservations for its picnic shelter program during the 178th Erie County Fair, Aug. 9 -20 at the Hamburg Fairgrounds. Shelter reservations are on a first-come, first-served basis and are located at Hickory Tree Park just steps from the Fair’s midway, entertainment, livestock barns, games and shopping. The setting can accommodate 25 to 1,000 guests. Each shelter reservation includes tables/chairs, electricity, option for discount gate admissions and ride packages. Guests can bring their own food and drinks, but the use of glass containers, alcohol, grills and outside caterers is prohibited. Patrons can also have the party catered by one of three Fair vendors — BW’s BBQ, Chiavetta’s Catering or Weidner’s BBQ. 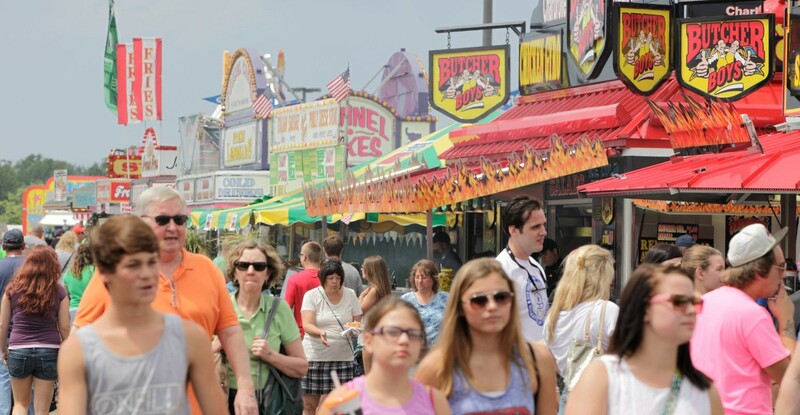 Visit ecfair.org/admission-and-hours/company-family-picnics or contact the Fair’s Russ Marquart at 649-3900, ext. 6403. Reservations and payments must be completed by Aug. 3.